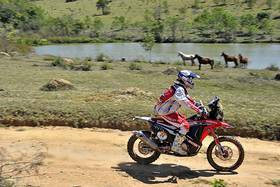 Rally dos Sertões: Honda´s Paulo Goncalves wins second stage in the bikes. Due to hazardous conditions on the race route, including narrow stretches and poor ground, the second stage of the Brazilian "Rally dos Sertões" on Monday was shortened quite radically from the originally-planned 155.65 kilometer stage. This put a damper on Team Honda HRC’s chances of narrowing the deficit with the race leader. 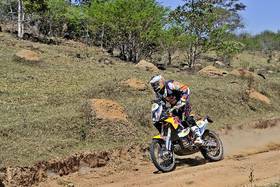 Paulo Goncalves, who started out from third place on the day, had hoped to whittle down the gap with the front runner, who set off ahead. 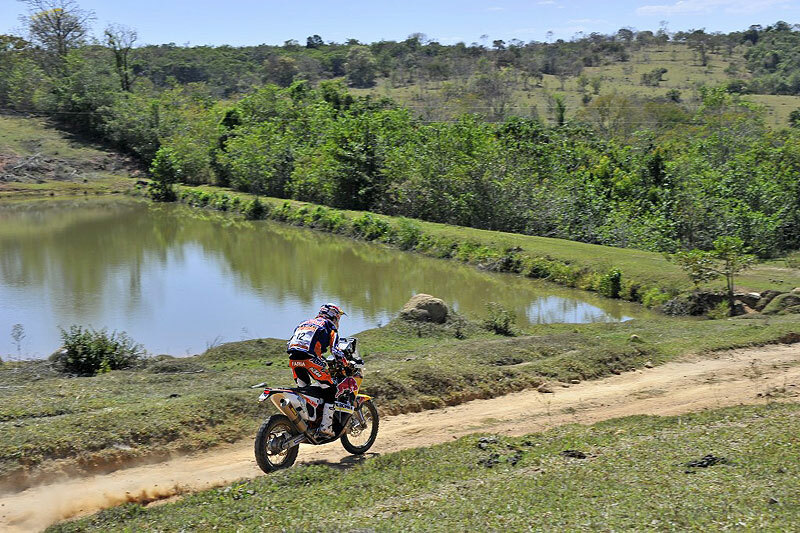 In spite of the changes to the original schedule, Goncalves managed a fast, yet comfortable ride, reducing the gap to the overall leader Marc Coma (KTM) to just 39 seconds. 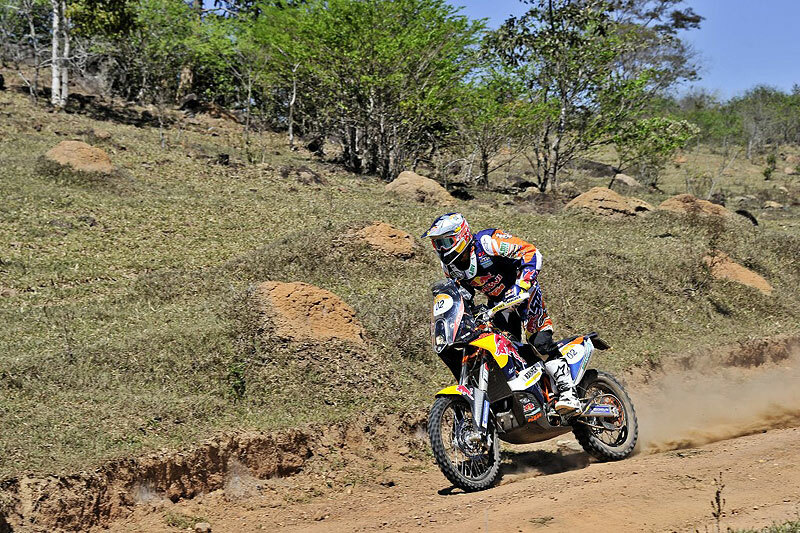 He finished the stage only 1:02 minutes in front of Brazilian Honda rider Jean Azevedo (now third overall), 1:21 minutes in front of KTM´s Marc Coma from Spain, 2:30 before Jordi Viladoms and 2:39 in front of Ruben Faria, both also with KTM. "Today I set a really good rhythm on the bike," said Goncalves after the stage. "I was able to keep up a really quick and constant pace. However, the organization shortened the route and we competed over a 70 kilometer course, which meant that I was unable to make up much time. I would have been able to win the stage and pull back. I’m very close at just 39 seconds behind the overall leader. I’m closing in, and tomorrow I’ll try and do it again." 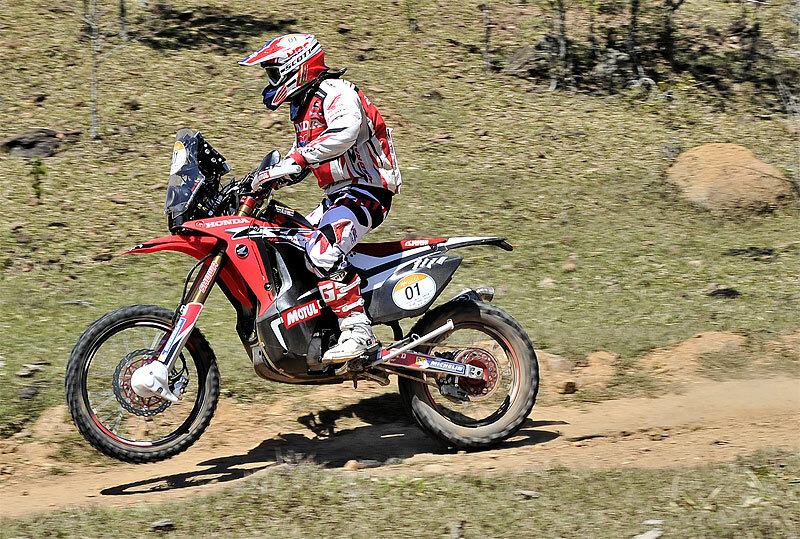 A very focused Helder Rodrigues tried to avoid any navigational errors, due to flaws in the road-book, which eventually left him conceding several seconds to his adversaries. 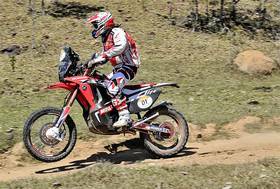 Tuesday Helder will start from behind and it will be full gas for the Honda CRF450 Rally in an attempt to recuperate time and get back up among the top positions. "The second day has been a really different one, with the special being reduced by quite a few kilometers," Rodrigues reported. "It was a short day, but the with different navigation from yesterday’s. Not so demanding, but very fast. I lost a bit of time, and tomorrow I’ll be starting from further back, so I’ll be attacking and trying to get back in the top places." 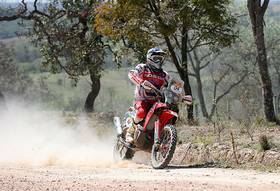 "It’s the second day of the Sertoes Rally which finished with another victory," said Team HRC Team Manager Wolfgang Fischer. "Paulo Goncalves took the win and has shortened the gap with the overall leader, so they are very close together." "Also, Helder had a very constant race. Unluckily, the stage was shortened tremendously to only about 70 kilometres from the original -which was over 200- because of a problem with the track. 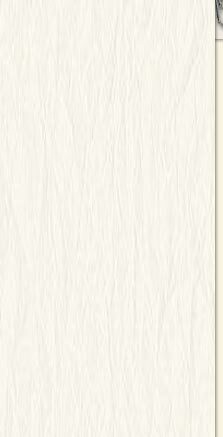 For that reason the riders didn’t have more kilometers to be able to make up more time. Anyway, tomorrow will be a similar stage like today’s, and a new chance to attack.